While at Ramapo, Christian was extremely involved on campus as a Ramapo Admissions Student Ambassador, in Alpha Phi Omega (previous New Interest Member Educator and Recruitment Chair), in the Filipino American Student Association (previous Cultural Chair), in the United Asian Association, in the Nursing Student Organization, a participant in the World Care Center Alternative Spring Break Trip to Staten Island (2014), a student trip leader for the Ghost Ranch Alternative Spring Break Trip to New Mexico (2016) and a student trip leader for the Macaw Sanctuary Natuwa Alternative Spring Break Trip to Punta Arenas, Costa Rica (2017). Christian was a Dean’s Scholarship Recipient, was inducted into the Alpha Lambda Delta Honors Society, and featured in Ramapo’s Trillium Magazine (2016). 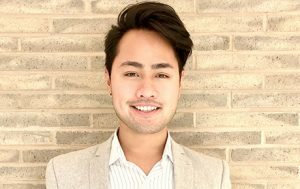 He also participated as a Workshop Facilitator for the East Coast Asian American Student Union Conference (2016), is a Contributing Filipino Diversity Writer for the Fil-Am and a Contributing Writer for the New Jersey Public Health Association and Minority Nurse.